Bandit was one of the few dogs that really could give our dog Shadow a good work out. He is was a beautiful Husky rescue that would play with Shadow until they were both exhausted laying on the ground rolling in the dirt. 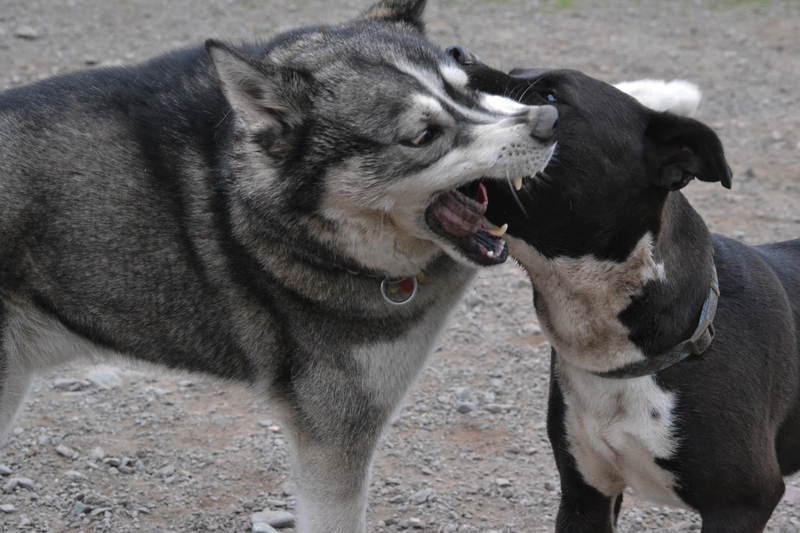 He looks vicious here but all the times they wrestled with each other neither dog was ever hurt. 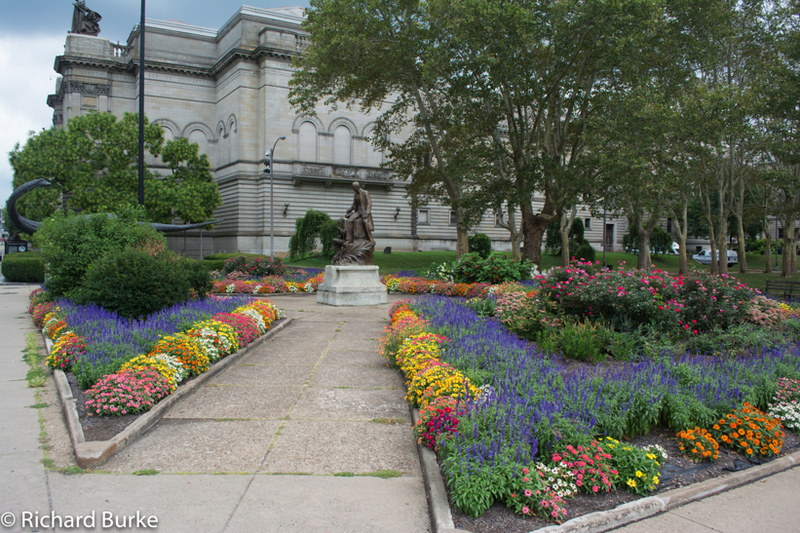 A beautiful summer garden in full bloom outside the Carnegie Music Hall in Pittsburgh Pennsylvania. 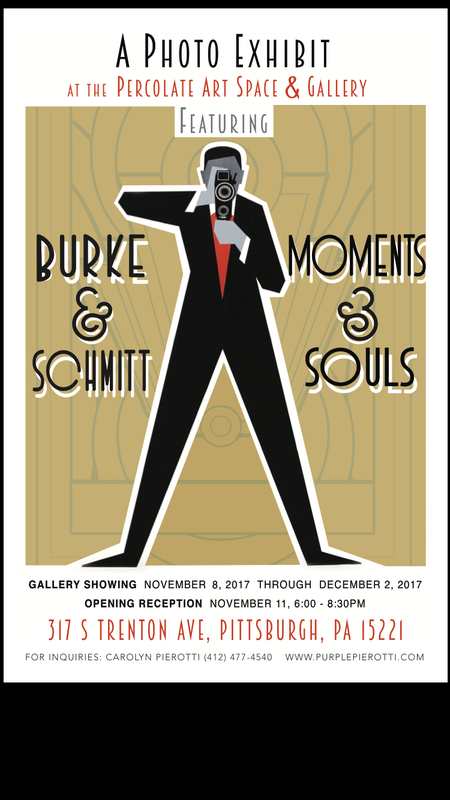 I used to be an usher at The Music Hall and remember sneaking into the Museum at night. 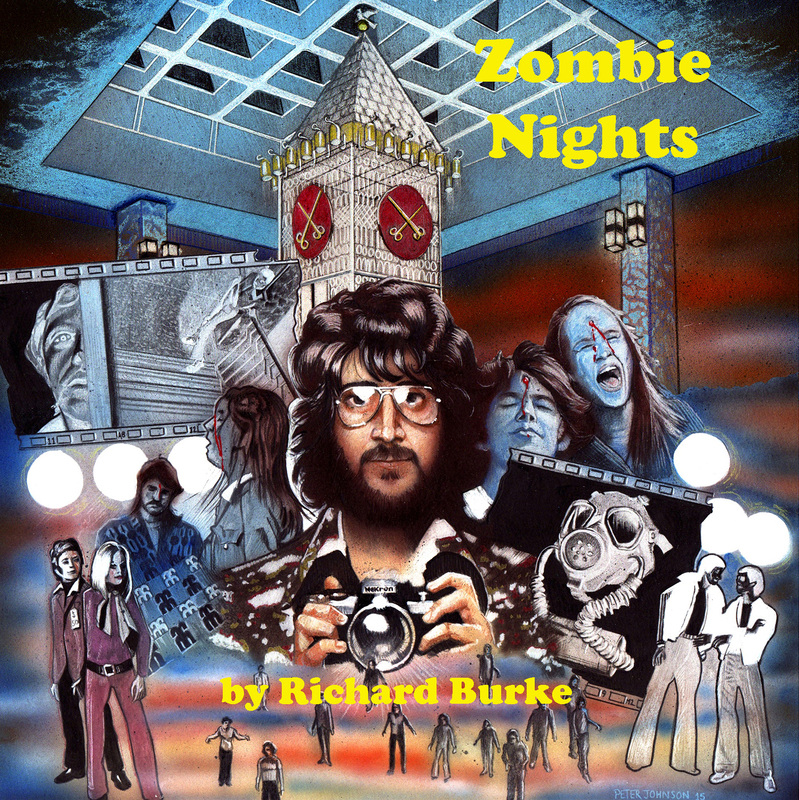 There was some sort of excitement to see the giant dinosaurs in the dim night light and staying one step ahead of the roving guards. I love the Pittsburgh Steelers and I have been one of the fans that have been able to forgive Ben Rothlisberger and embrace him as our quarterback. Big Ben is a great team leader and statistically is every bit as good as Aaron Rodgers. However, nobody “looks” better than Aaron Rodgers throwing a football. He is the Jerry West of the NFL and his silhouette could be the logo for the NFL in the same way that West is for the NBA. This picture was taken at Heinz Field during a pre-season game last Sunday. 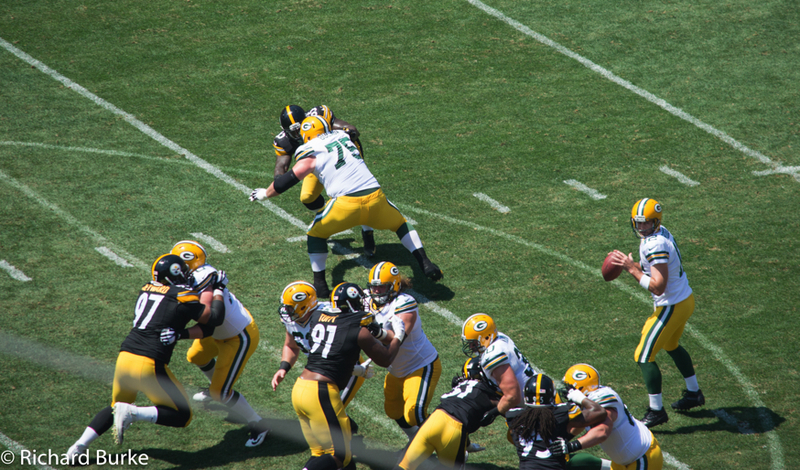 The Steeler defense still needs some work although some players like Heywood and Shazier looked great in yesterday’s pre season game against the Packers The first team offense looked good and although it was hot, the crowd was rowdy and ready for football. 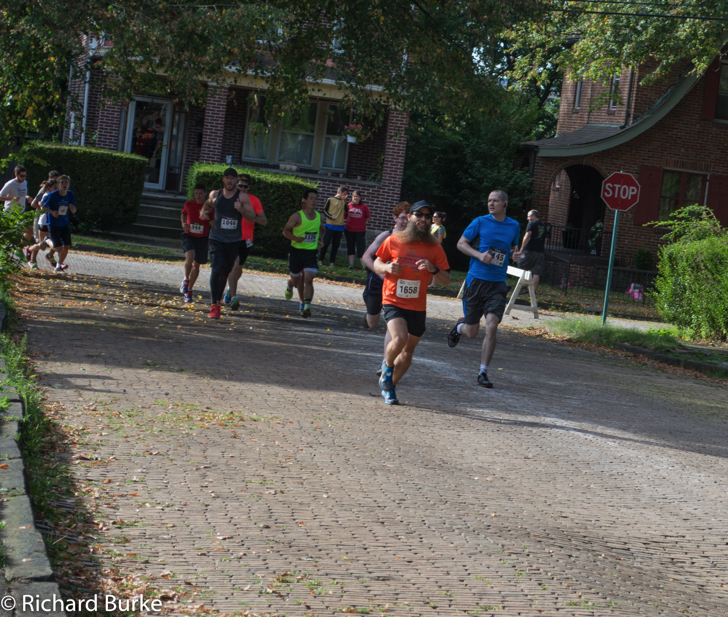 We love our new Regent Square neighborhood in Pittsburgh so when the opportunity presented itself to volunteer for the annual race we jumped on it. Next year we will volunteer again but are also planning to walk in the 5K race. Run Around The Square started in 1982, four years after we left the Pittsburgh area. In the first year the race just had over 90 entries. This year the Run Around the Square was capped at 1800 entries. The race features three categories. 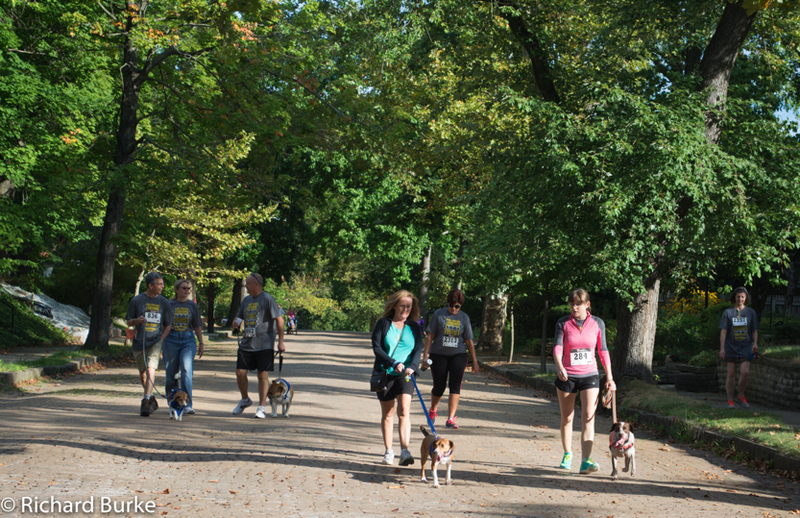 A 1.5 mile family walk and 1.5 mile dog walk through the streets of Regent Square. 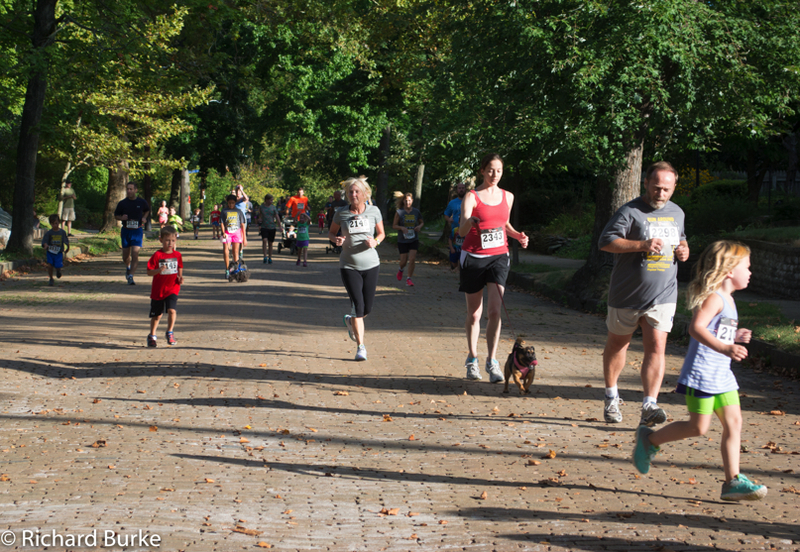 Then a 5 kilometer race through Regent Square and into Frick Park. The race has many sponsors and supports local charities. 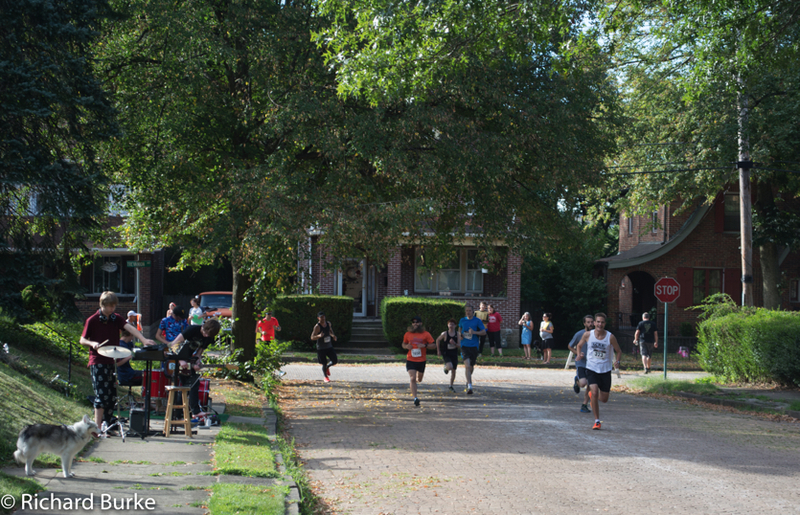 We posted some pictures below of walkers and racers as they went passed the barricade we were manning on our street. The weather was perfect! 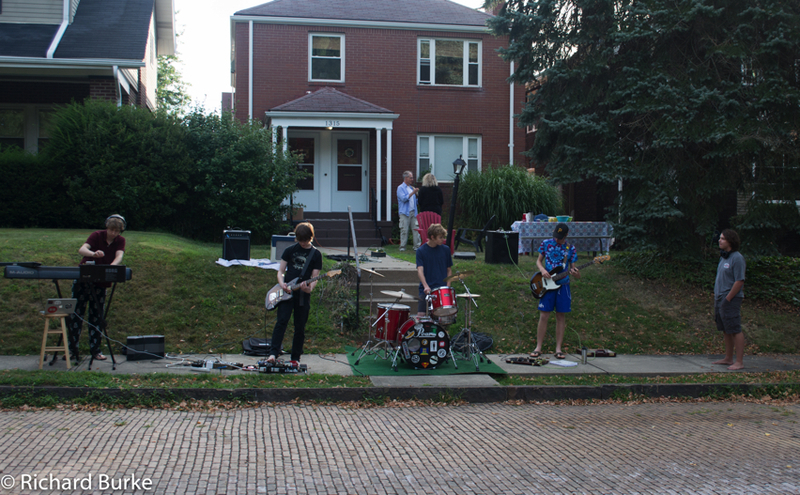 A lot of cities in the rust belt have reinvented themselves. Maybe no city has done this better than Pittsburgh. Throughout these cities you see relics of a bygone era and signs of long gone establishmentsforgotten by most. 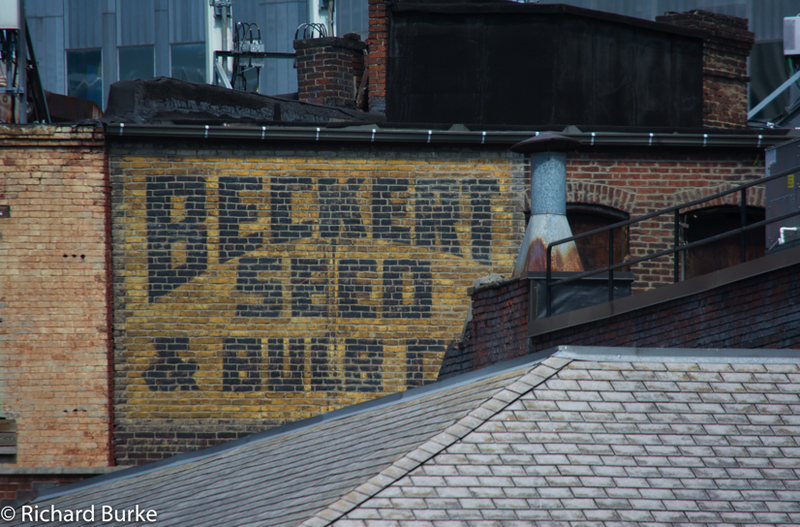 The Beckert Seed and Bulb Company was a Pittsburgh business downtown and on the North Side in the early 1900’s and lasted all the way through the early 1950’s. You can still see their 1923 seed catalog online by clicking here. I love to collect images of these old signs of the times and was surprised to see this sill intact in Market Square.